My thirty-third ground of 2017 was on Tuesday 5th December at the Miners Welfare Ground in Swallownest, South Yorkshire. The match was Swallownest vs. Armthorpe Welfare in the Northern Counties East League Division One. 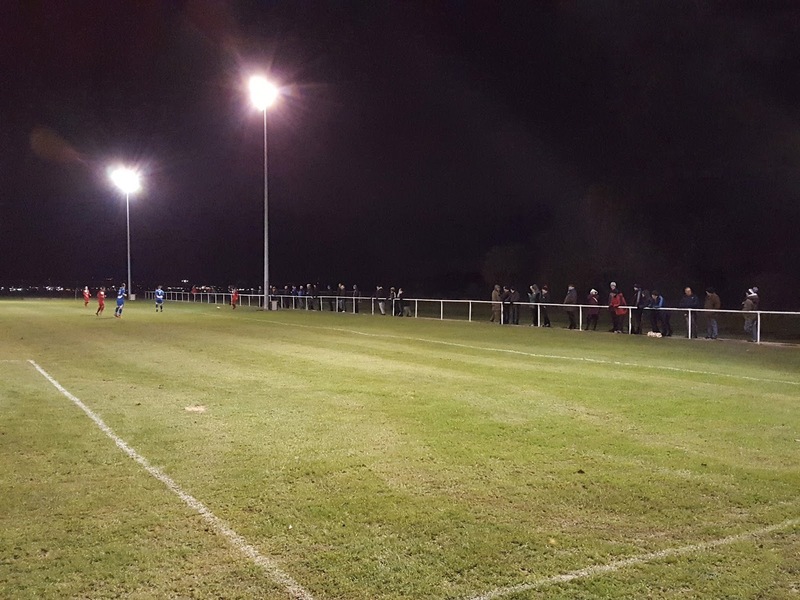 The Miners Welfare Ground is located on the edge of the village of Swallownest a few miles from Sheffield and Rotherham. It counts a church and a primary school as its eastern neighbours though the other three sides of the ground are bordered by fields. The ground is 1.5 miles east of the nearest railway station at Woodhouse. However with this station receiving very limited services the nearest major stations are Rotherham 5.5 miles north and Sheffield 7 miles west. The club only formed in 2006 and moved to the current venue in 2008. The eastern end of the ground contains all the club's facilities. This includes a clubhouse with a decking area which faces out towards the car park and a building containing the players and officials dressing rooms - this sees the players emerge to the right of the turnstile entrance. Inside the ground there is a food outlet by the entrance and next to this the sole stand in the venue. At present there are no seating areas at the Welfare Ground with the stand a two-level concrete terrace which is covered by a roof. In front of this most of the eastern end is an area of flat concrete with this changing to grass heading towards the northern end of the ground. The northern and southern side are both uncovered standing - the northern side has a fairly large flat grass area behind with the southern side is more limited on space having a grass bank and the trees marking the border of the site behind this. The two dugouts are on this side of the venue. The western end is not accessible for spectators with metal fencing just behind the goal separating the pitch from an adjacent field. 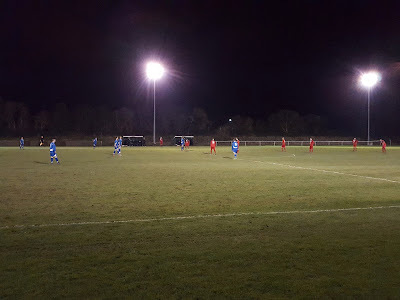 Swallownest got the ball in the net in the 13th minute when a long free-kick by keeper Daryll Johnson was nodded onto a defender who struck the ball home. However the goal was ruled out for offside. The away side had a super chance to go ahead in the 16th minute when Johnson misjudged a cross and missed the ball with it falling to Chris Simpkins who with the goal gaping snatched at the shot and saw the ball come back off the crossbar. 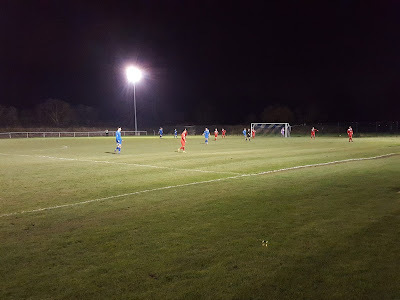 The game saw its first goal in the 24th minute - Swallownest had been threatening to get in behind the Armthorpe defence and managed it with a through ball to Alex Lill who collided with visiting keeper Liam Copley in the race to the ball. The referee allowed play to continue and Lill proceeded to stroke the ball into the empty net. 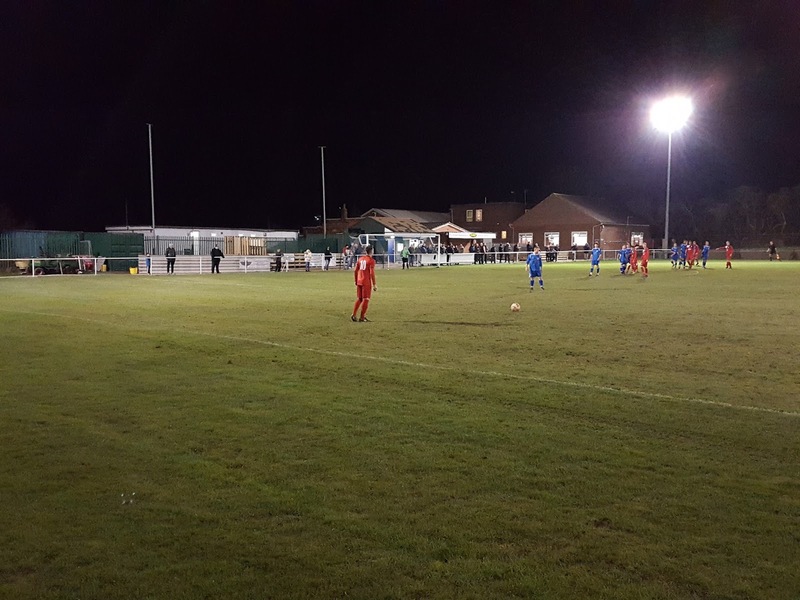 Ten minutes later Armthorpe drew level in very similar circumstances when a through ball picked out the pacey Luke Williams who slotted past the advancing Johnson. The decent first half made way for a poor second half that was devoid of action - the home side had the upper hand and came closest in the 68th minute when a corner was headed inches wide. The game ultimately petered out to a draw, a result which didn't particularity help either side with both sitting in mid-table.